With the mission to define ‘what’s next in safety?’ Scott Safety is back at the A+A trade fair in Dusseldorf (27th – 30th October 2015) to showcase the latest technologies, concepts and future-thinking surrounding industrial gas detection and breathing apparatus solutions (Hall 06, Stand F33). 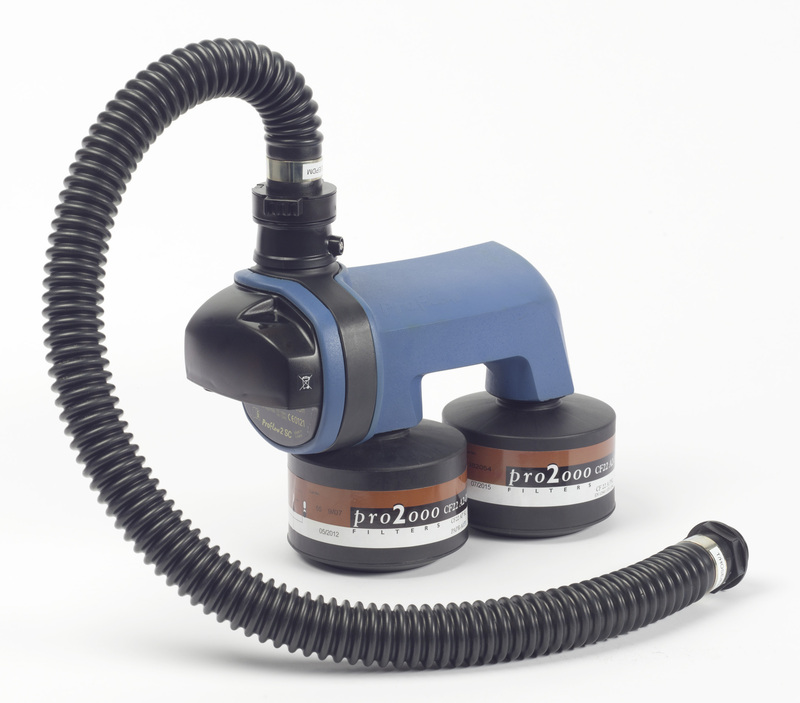 The event, which attracts over 63,000 global industrial professionals, will be the launchpad for Scott Safety’s latest addition to the Proflow Powered Air Purifying Respirator (PAPR) range, the Proﬂow 2 SC 160. With a high 160l/min ﬂowrate and a comprehensive choice of headtops and accessories, Proﬂow 2 SC 160 provides optimal selection comfort and reduced respiratory burden. It is suitable for a wide variety of industrial settings. For enhanced protection, a range of readypaks are also available that combine the Proﬂow 2 SC 160 powered air respirator with a hood or headtop. Scott Safety’s next generation of respiratory protection will also be on show including the Proflow 3EX PAPR, designed for workers in heavy industry. The Proflow 3EX combines AX gas filtration with the benefits of continuous flow powered air which opens up the use of powered air for workers requiring protection from AX gases, who were previously limited to negative pressure facemask solutions. The new FLITE COV will also be on display. Particularly suited to confined space entry and the oil and gas industry, this new open circuit, positive pressure airline breathing apparatus has been specifically designed as an airline working set with an optional hip-mounted cylinder as an airline escape set. An additional coupling allows the connection of an emergency air supply cylinder with automatic change over valve which provides an independent air supply with a duration of 10 to 15 minutes, dependant on cylinder size. For visitors wishing to get involved, Scott Safety’s experts will be delivering live interactive demonstrations throughout the show. Testament to the company’s determination to be the leading innovator in equipment for the industrial sector, Scott Safety is hosting a future gazing, invite only 'What’s Next in Safety?' booth for leading industry experts and other key stakeholders to collaborate and share in its newest thinking. Invitees will experience the latest Scott Safety innovations, many of which are at prototype stage, reflecting the change in the way that the business is looking at the future of safety in this arena. At this year’s A+A, Scott Safety will be introducing its newly extended range of portable gas detection solutions, with products from GMI and Oldham-Winter providing welcomed additions. The PS200 Series and the PS500 from GMI can be tailored to simultaneously detect 4 and 5 gases respectively; with penetrative and distinctive audio and visual alarms and customisable capabilities they offer an adaptable approach and excellent protection in hazardous confined spaces and noisy environments. The BM25 wireless transportable multi gas detector from Oldham, also featured on the stand, bridges the gap between Scott’s portable and fixed gas detection range packing all the benefits of a fixed system area monitor in to a rugged, user-friendly and transportable instrument. For visitors keen to source the latest fixed gas detectors, Scott Safety will be showcasing popular solutions from Oldham-Winter’s fixed system range including the MX 43 analog and digital controller and the TBGW_EX detector. The OCLCT100 toxic and combustible gas detector and Tyco FV411F Triple IR Flame Detector will also be on show as well as the popular Site Sentinel CXT Controller SmartWireless gas detection and control system which provides operator interface to the network and real time status display of all network devices. In addition to this Scott Safety will also be demonstrating its next generation Meridian Universal fixed gas detector. ATEX approval and a modular plug-and-play design that supports a full range of toxic as well as combustible sensors mean the Meridian is truly a future proof gas detection solution.